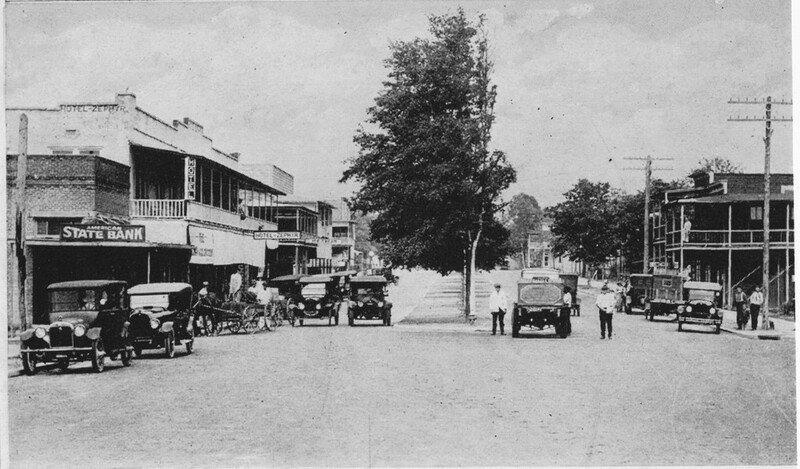 Zephyrhills 100th Anniversary: 2010 and a new decade - Zephyrhills, Florida 100th Anniversary! The Zephyrhills Historical Association with Margaret Seppanen as their wonderful leader, printed a lovely historical calendar for 2010 that was hot off the press this past week. Please contact the ZHA at (813) 782-8405 or (813) 782-4495 if you wish to obtain a copy. It includes a lovely array of historical photos which they have collected over time. For this week’s article, we profile a few of the photos and reflect back on one hundred years. A new decade brings a sense of renewal. You will recall that at the start of the decade of 2000-a new millennium, we were responding to the prediction made by technology gurus that the computer systems of which we had become so dependent, would malfunction at the strike of midnight. As you know, this did not occur and perhaps it was a prediction of the changes that were to continue throughout the decade in regard to communication. Looking back on that new decade of 100 years ago, here are some glimpses. 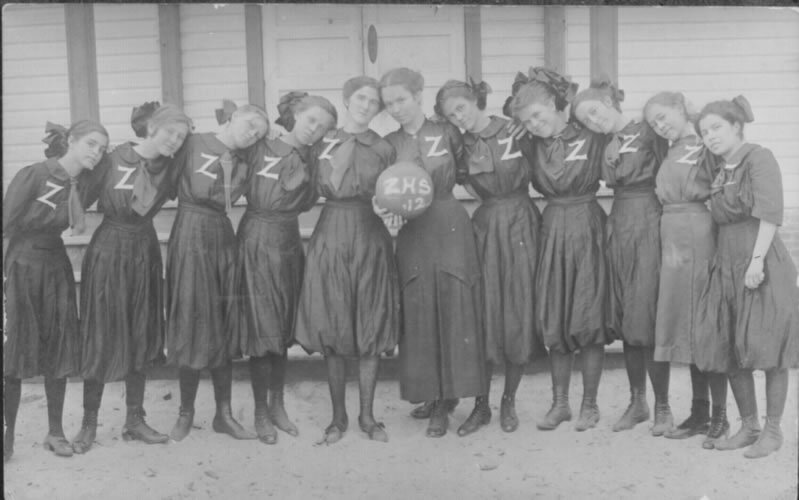 The decade of the 1910s, the origin period of ZHS, is a time of great change in the USA. For the first time, the country was considered a world leader. The dominant issue of the decade was World War I. There were a larger number of girl students than boys and in 1919; the Junior-Senior Banquet even included two large flags in the banquet hall in place of the two seniors, Lyle Gilbert and Dale Leonard, who left school early to fight in France. At the graduation ceremony in 1919, a letter from Lyle was read to acknowledge his patriotism and service. The themes of change and certainly the impact of a worldwide war influenced the activities and directions of ZHS. Opening exercises for the school term were heavily laden with patriotic and religious overtones, and attended by all community members with a strong leadership role played by area church ministers. During this time, family roles were impacted by the 19th amendment which granted women the right to vote in 1919. The ZHS high school play of 1919, was in fact, reflective of this social change, and entitled, “Her Honor the Mayor.” It was advertised as “a playful satire on women’s suffrage, chocked full of fun and the joy of life.” In the synopsis of the play, the female was not portrayed in a very worthy light, which may have reflected the conservatism of the community and at least some perceptions of the new amendment. In sports, Principal Walter Roberts served as the basketball coach and alumni report that the basketball team was outstanding. This US decade included the first child labor laws which were enacted in 1915 and economic changes that scanned the spectrum from monopolies to the impact of immigration on the labor market. Consider that the Model T cost about $350 and the National Park Service and Girl Scouts of America were born in this era of prohibition There was the unthinkable sinking of the “unsinkable ship,” the Titanic in the news, while Zephyrhills experienced its own tragedy in the new ZHS building, christened in 1910 being destroyed by a fire in its second decade in 1926. The first principal was Judge J.W. Sanders who later served as the Pasco School Superintendent from 1913 to 1921. Professor Sanders was age 25 when elected Pasco County Superintendent which means that he was in his very early twenties when serving as the first principal of ZHS—undoubtedly the youngest to serve as leader of the school. Graduations were spectacular events for the day in this first decade, and the graduation speakers were prominent state leaders. The 1919 ZHS graduation featured Dr. Conradi, the President of the Florida State Women’s University (now FSU). The first ZHS graduation of seniors was held in 1913 although an eleventh grade graduation was held in 1912. Don Storms informed the alumni in 1972 that he was the only ZHS graduate to have graduated twice, as he participated in both the eleventh grade and twelfth grade graduations in 1912 and 1913. There were eleven graduates in 1912. 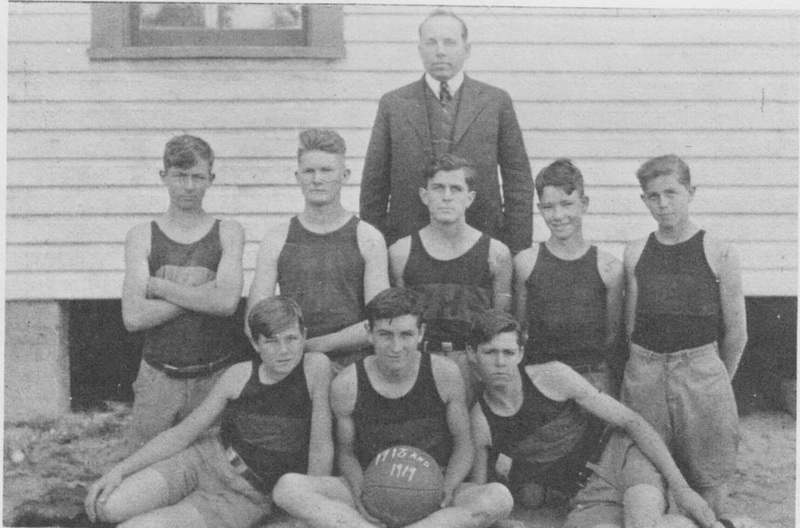 The first basketball team in 1919 was coached by Zephyrhills Principal Walter Roberts and team members were: Willie Stebbins, Robert Helms, Gerald Briggs, Curtis Geiger, Warren Haynes, Fred Stebbins, Kenneth Storms, and Edwin Stebbins. This began a legacy of basketball and sports in the area. J.F. Stebbins Manufacturing Company produced the P.C.S. Brand cane syrup and was located on the west end of Gall Boulevard at 8th Avenue. The building was also used for cotton ginning, per Margaret Seppanen. By Madonna Jervis Wise and Clereen Morrill Brunty of the 100th Anniversary Committee, ZHS. Article originally appeared in the Zephyrhills News on December 31, 2009. Glad to find this. I knew some about my Grandfather but not much. Just that he was a judge and he adopted my father.